Silver Star Ski Resort in Canada boasts one of the most unique ski villages in the world, and a deceptively large, world-class ski area in the heart of British Columbia’s Okanagan Valley. Silver Star has something for everyone, yet it’s particularly great for those wanting an easy and fun family ski vacation. It has been a popular choice for many years, and this 2018 season the resort is celebrating it's 60th year! That means they've had plenty of years to perfect their resort operations, and visitors to Silver Star are sure to be impressed with the quality of snow, facilities, and services. 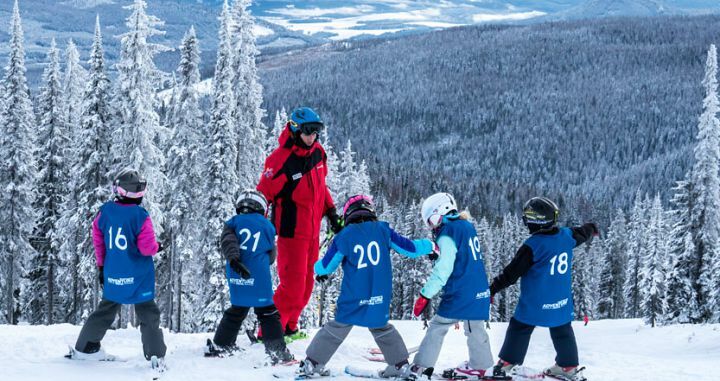 The resort has also been voted the Best Ski Resort in the Okanagan region for the fourth consecutive year - with results like that, Silver Star is a must-ski for families in Canada. A cute and compact ski-in ski-out village. Easy access for all. Whether you love them or loathe them, the colorful buildings are unique and memorable. The skiing off the backside is great for advanced and expert skiers. Canada’s biggest cross-country network. A total of 55km of groomed trails make this a popular choice for cross-country skiers. A range of accommodation for families of every shape and size – from budget through to high-end vacation homes. The kids’ activity area (with tubing, ice-skating and more) is separate from the village. The village is small and the restaurant choices are limited, although offer great dining. Bring a low-light lens as a good part of the resort becomes quite shaded from 2pm onwards. While there’s a good après scene, this is not Whistler or Banff (more of a locals' vibe). Arriving at Silver Star Ski Resort for the first time, visitors could be forgiven for thinking they’d driven on to a Western movie set, albeit a wacky one. All of the buildings are weatherboard and a patchwork of bright, happy colors. Silver Star’s mid-mountain village is not a place where you’ll get lost, since it’s tiny and its central ski “plaza” is surrounded by many restaurants and cafes, shops, hotels, bars, and the ski school. It's this uniqueness of the resort makes Silver Star a perfect option for everyone, especially families. Don’t let the size of the village deceive you. Silver Star resort is a big ski area – at 3269acres/1323ha it’s the third-largest ski area in Canada behind Whistler Blackcomb and Sun Peaks. And it offers fantastic skiing for all levels! The resort covers four distinct mountain faces and boasts 132 runs. The front side offers progressive terrain, which is perfect for those learning and families with beginners. On the backside of the mountain, you'll find an uncrowded paradise of over 1,900 acres of steep and deep, and black and double black diamond runs for the most adventurous skier. Some say that Silver Star is 'flat and boring', with only terrain suited to beginner and intermediate skiers, however, those who have skied the backside of the resort can attest to it's knuckle-biting terrain and gnarley chutes. Silver Star is perfect for families as it ticks all the relevant boxes - easy access from the airport, great value accommodation, fantastic ski school for all ages, a wide variety of terrain, and all the resort amenities and facilities in the one spot. 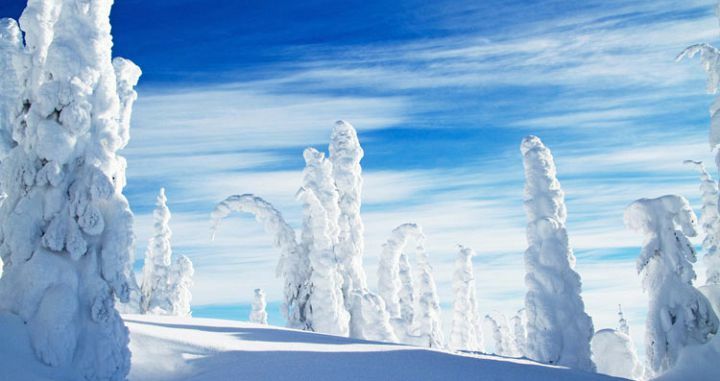 Spend a week at Silver Star and you'll wonder why you skied anywhere else! The quality of skiing at Silver Star ski area is impressive. Although there are only six main lifts (not including the magic carpets and connecting T-bar), these lifts service an enormous spread of terrain. 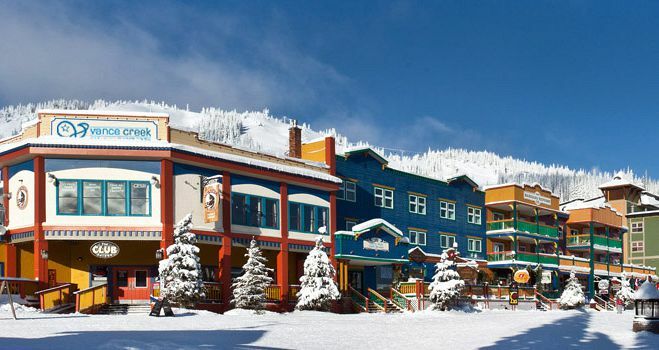 The village and most of the accommodation at Silver Star are situated mid-mountain on the “Front Side”. This makes access to the slopes easy and quick for most visitors. First-timers will start in the small beginner area with its magic carpets, right in front of the village. Scout loves this as it allows easy access to the day lodge, cafes, and resort facilities to keep the little ones happy on the slopes all day long. From there, they’ll progress to beginner areas mainly off the Comet Six Pack Express and Silver Woods Express, with great gentle slopes and wide runs. Intermediates will have a field day on the Front Side where there are some nicely gladed areas where they can try their hand at some tree skiing – particularly down in the Silver Woods area, which tends to be a little quieter. Simple Pleasures run boasts some fantastic skiing! The tree runs are unlike others where there are lots of space between them - the tree runs, especially in the Powder Gulch area can be rather tight. Strong intermediates and advanced skiers are well looked after on different parts of the mountain – most notably on the “Back Side”. This area, with its blacks and double blacks and occasional blue run is almost exclusively reserved for them. Some of the runs are long, steep and fast, while others have perfectly spaced trees to play around in on a powder day. The more adventurous and energetic can explore the side-country off Alder Point that funnels back down to the Powder Gulch Express. This lift is the only one servicing the whole Back Side so the entries and exits before and after each run can get a bit repetitive and sometimes flat. Also to note, from 2PM onwards, this part of the mountain falls into shade, so make sure to carry some low-light lenses with you so you can keep skiing powder into the afternoon. Silver Star is rarely crowded. The village may have a hustle and bustle in the mornings with ski school check-in along the main strip, but this is far from the case on the slopes. Having a vast spead of terrain across all four mountain faces means skiers are evenly dispersed and lift lines are minimal. Although on busy weekends the Comet Express can get somewhat congested. Shredders and park rats wanting to test their skills will head straight for the Silver Star Terrain Park, though lapping the park requires the long Comet Express. One of the most impressive park set-ups in Canada, Silver Star has perfectly sculpted table-tops, kickers, rails and boxes, with individual lanes for beginners through to advanced skiers and snowboarders (Small to X-Large Lanes). Silver Star has two areas set aside for night skiing – off the slow old double Summit Chair and Silver Queen Chair. 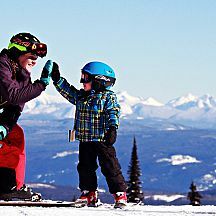 Silver Star is perfect for families. It's ticks all the boxes that most families are looking for. It’s really great value, and easy to get to from Kelowna. 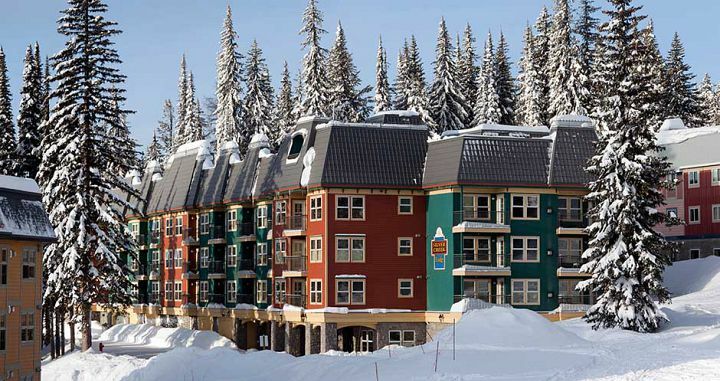 There’s a wide variety of self-contained condos in Silver Star (from budget to moderate) and all are barely minutes from the slopes (most are ski-in/ski-out). The resort also has a wonderful ski school, with lots of program options to suit your child's level - Plus, in keeping with the Western movie theme, the ski school has a rooftop bell that’s rung to start class (cute!). The terrain is suited to family members of every skiing ability level. Every chairlift offers at least one green run allowing families of varying ability to ski together throughout the day. The runs are also very tailored to progression, meaning a week skiing in Silver Star is bound to improve your ability level! For such a small village area there are a surprising number of activities to do outside of skiing, particularly aimed at families (see below). However, these mostly take place away from the main village, closer to the base of the Silver Queen Chair. There is a wide selection of accommodation in Silver Star to suit every taste and budget. From a backpackers hostel and a budget pub-style hotel right through to luxurious condos and vacation homes. The one thing in common is that most properties are all dressed up in the same wooden, colorful style! 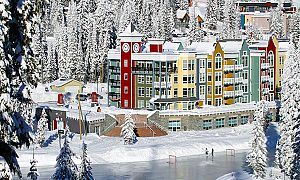 A lot of the condos and hotels in Silver Star are situated within easy walking distance of the village, while the vacation homes are scattered along the ridge and an area called The Knoll. Some are ski-in/ski-out, while other condos are barely minutes from the slopes. Being a compact resort area means all the resort facilities are within walking distance, much appreciated by families. Read our detailed and independent reviews of Silver Star Accommodation. 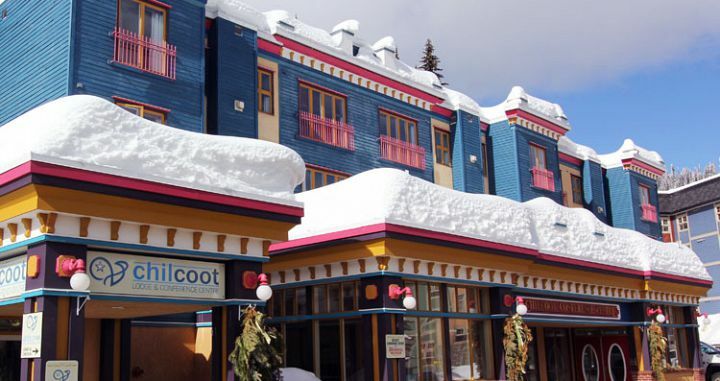 Once you narrow down your choice you can book lodging and Silver Star Ski Packages via Scout. The No.1 attraction at Silver Star (apart from the skiing) is its world-class network of cross-country trails. Over 55km of them are groomed daily and weave their way in and out of the ski resort – sometimes with spectacular views. If you’ve never tried cross-country skiing before, this is a great place to give it a go! You can take lessons or rent gear in the main resort center. You can also use your lift pass (or buy a special pass) to have lift-access to the upper mountain trails. Most of the family-focused activities at Silver Star take place near the base of the Silver Queen Express, about a 10-minute walk from the village. 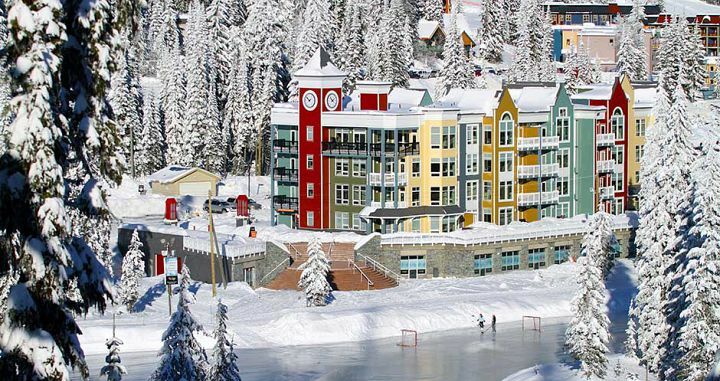 Silver Star has a picturesque 2.5acre natural ice-skating rink where there’s plenty of room for hockey players, figure skaters and first-timers. In the same area there’s tubing, night-skiing, mini-snowmobiles and pinheads bowling. Other snow activities include horse-drawn sleigh rides, snowshoe tours and snowcat dinner tours. For adults there’s a day spa, fitness center, yoga, a gallery and a handful of retail stores. The resort organizes night trips to Vernon to see ice-hockey matches (great for international guests!). If you want to splurge there’s a heli-skiing operation that picks you up and drops you off at the resort (see Kingfisher Heli-skiing for more details). 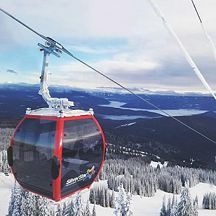 Silver Star ski resort is close to the town of Vernon, and one hour from Kelowna International Airport, which has daily international flights from cities in Canada and the US. From Kelowna airport you can rent a car, but once in Silver Star you will hardly need it. A better option is to take the direct shuttle bus provided by the resort (for an extra charge). If you’re after a road trip, Silver Star is five hours’ drive from Vancouver, or 6.5 hours from Calgary. 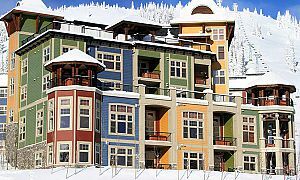 There is a shuttle bus for getting around Silver Star, but most condo properties are within easy walking distance of the village. More details are in our Silver Star Scout Field Guide. 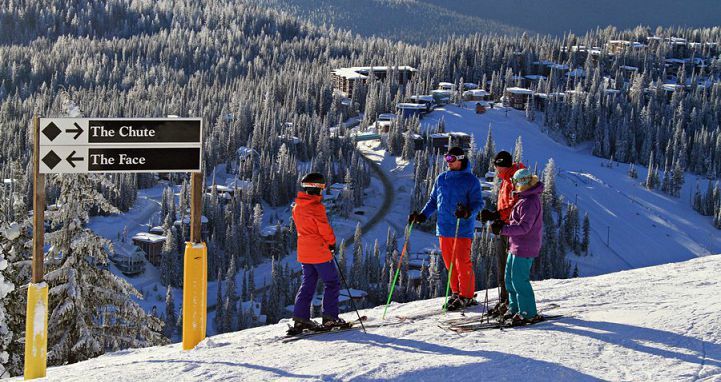 Silver Star Resort operates from mid-November until mid-April. The best time to visit for the most reliable snow is January and February, although temperatures are colder then. There can be great spring skiing in late March and early April, with the occasional dump of fresh snow.